Some days, you just want to go out and enjoy the scenery. Other days, you want a white-knuckle ride to get your testosterone pumping. If you’re looking for the latter, then check out these 15 roads that are filled with more twists and turns than a bag of angry snakes. If you have met someone on a biker dating website, these roads will be even better. Bored? Then head out to this narrow 123-mile road that boasts approximately 460 switchbacks. The Coronado Trail travels through an amazing variety of landscapes, including lonely desert and beautiful forests. Also known as The Three Sisters or The Hundred Mile Loop, these three challenging roads are located in Texas’s famed Hill Country. If you love twisties, you’ll love this trio. For instance, there are approximately 65 curves in just one 15-mile section. 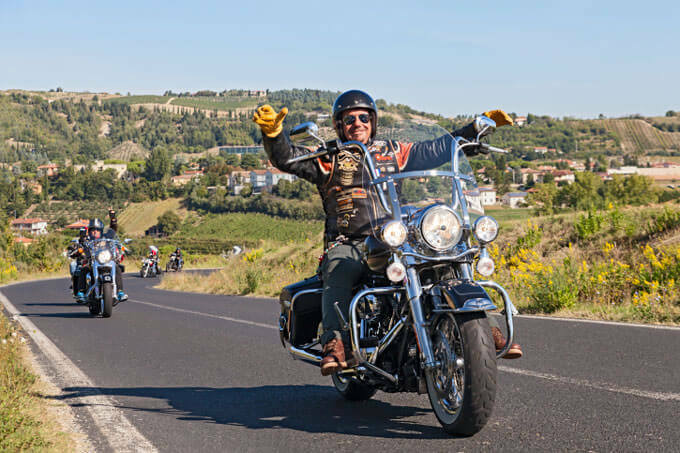 These roads are why we included Austin, Texas in our article on the best cities for biker singles. This oddly named road is a 19-mile-long, winding section of State Highway 23 that is not only filled with awesome twisties and switchbacks but is also quite picturesque. It is believed that the Pig Trail got its name because this road was a favored route for fans of the University of Arkansas Razorbacks football team. This stretch of U.S. Highway 212 features a number of white-knuckle switchbacks and spectacular views as it climbs to over 10,900 feet. Charles Kuralt, a famous television journalist, once called this road the most beautiful in America. This two-lane road, which is one of the highest roads in Southern California, is about 66 miles long and boasts fun sweepers as it cuts through mountainous Angeles National Forest in the San Gabriel Mountains. 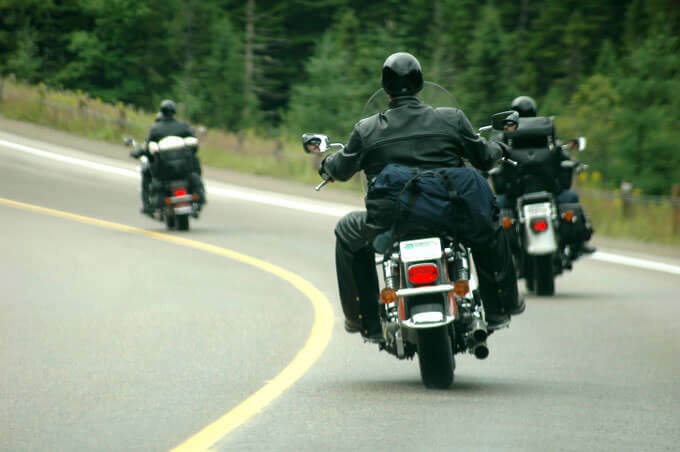 Because it is located very close to Los Angeles, it is popular with both motorcyclists and cagers. Located in Deal’s Gap, this is the mother of all roads; the one that all other wicked, curvy monsters are pitted against. With 318 curves in just 11 short miles, the Dragon is an extreme test of a rider’s ability. Also known as State Route 11, this road is popular with bikers who are looking for a serious test of their riding skills. This narrow road is only 21 miles long, but it is chock-full of tight curves. Unfortunately, because this road also boasts spectacular views of the Puget Sound, it is a very popular route that can be crowded with cagers, as well. This road, which features a lot of fun sweepers, is located close to the Tail of the Dragon, making it a perfect appetizer to the latter’s extremely challenging twisties. This is a challenging road that is filled with everyone’s favorite combination — twisties, sweepers, and fantastic scenery. The Kanc cuts through the gorgeous White Mountain National Forest and is an especially scenic ride in the fall when the trees are ablaze in oranges, yellows, and scarlets. If you want to impress someone you’ve met on a biker dating website, this road will sweep them off their feet. If you enjoy tackling hairpin turns on mountain roads without guardrails, you’ll love this 108-mile route. In addition, this road gets bonus points for its spectacular views. 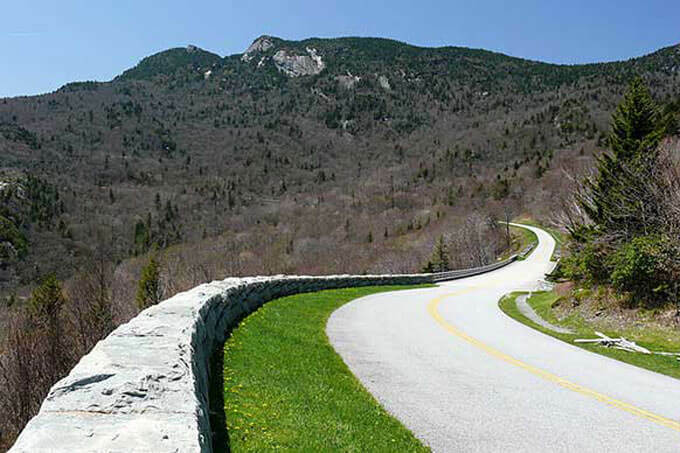 Considered one of the most scenic roads in the nation, the Blue Ridge Parkway is a fun road that cuts through the Blue Ridge Mountains and offers up a number of nice sweepers. This is another road that is absolutely spectacular in the fall. If you’re looking for a road that features fun-filled sweepers, tight switchbacks and elevation changes, then this approximately 200-mile road is for you. Also known as Highway 299, this road features fun hairpin turns as well as long sweepers as it runs high above the scenic Trinity River. This is a roller coaster of a road, which will throw a bunch of tight twisties and hairpins at you. Even better, it is a lightly traveled road. Motorcycle riders love nothing more than to be greeted with a “Winding Road” sign. Even better is the sign on US-12 — also known as the Northwest Passage Scenic Byway — that reads, “Winding Road Next 99 Miles.” Smooth sweepers dominate this two-lane road, although it does boast a few tight hairpins for a change of pace.